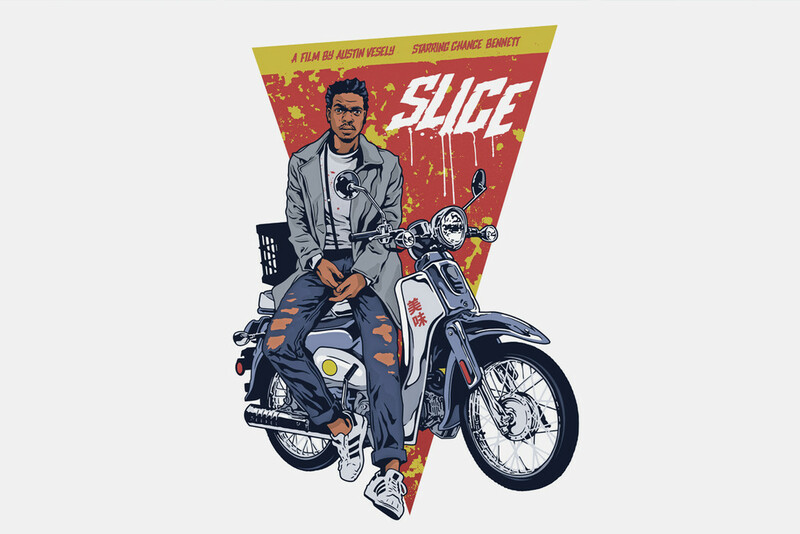 After the teaser poster was revealed earlier this month, A24 has finally dropped a trailer for its upcoming Slice movie that stars Chance The Rapper. The film is directed by Chance’s long-term collaborator Austin Vesely and also stars Atlanta‘s Zazie Beetz, Y’Ian Noel and Stranger Things’ Joe Keery. The movie is set in a small town where a number of pizza delivery boys have been murdered on the job. Chance’s character, Dax, is a werewolf, delivery boy and the prime suspect for the murders.